I’ve already commented about this great honor that my book and I received this year, but the certificate just arrived in the mail and that gives me an excuse to mention it again. 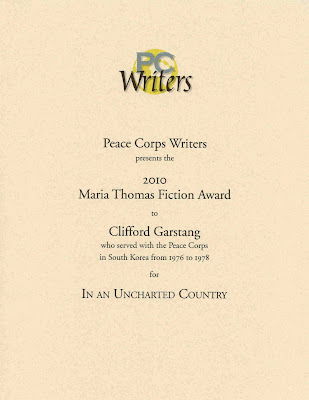 I received the 2010 Maria Thomas Fiction Award from Peace Corps Writers for my linked collection of stories, In an Uncharted Country. 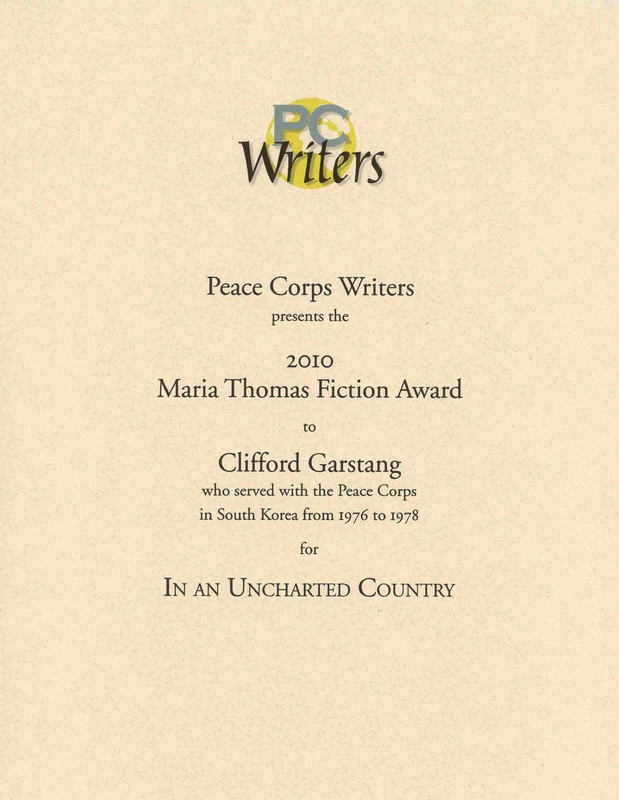 Previous winners of the award have included Paul Theroux, Kent Haruf, Norm Rush, Joanne Omang, Bob Shachochis, Marnie Mueller, Richard Wiley, and Mark Brazaitis. I’m honored to be added to that list. >Congratulations, Clifford. That's a pretty impressive list to join!